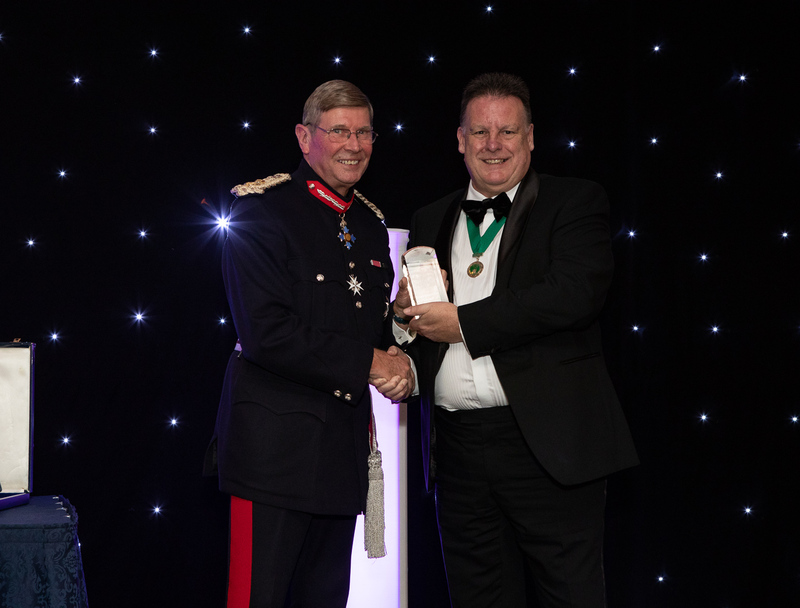 Above: The County President, Graham Morley, receives the Queen's Award for voluntary service from the Lord Lieutenant on behalf of the society. Admission to the County Show and the English Winter Fair on both days of each Show. Use of the Members' restaurant, bar area and cloakroom facilities at the County Show. Free entry into the District and County Agricultural Competitions.